The process of ionizing water breaks the hydroxyl ions, or negatively charged hydrogen molecules, which occur when water passes through water treatment plants. Part of the water treatment process is heating water and adding chemicals, which remove naturally occurring alkaline minerals. This treatment process can be overcome by ionizing the water to restore healthy alkaline levels back into the water. Five methods that you can ionize water are discussed. Test the pH level of the water you currently drink to determine if it is between 8.0 and 10.0. If it is in this range, you have ionized water. If it is not in this range, you will need to ionize the water. Connect a water ionizer to the kitchen sink faucet and let this machine ionize the water for you. A water ionizer uses low voltage electricity to eliminate water acidity and increase the alkaline or base level of the water. Water ionizer machines are the most expensive and popular option for ionizing water. Pass water though bio-ceramic filters to ionize water if a water ionizer is not available. This second option uses clay, stone, and selected minerals to create a magnetic resonance in the water to restore its alkalinity. This is accomplished by using clay containing large concentrations of magnetite and cobalt elements. Pass water through magnetic fields to increase the alkalinity of water. This is a third option you can accomplish by attaching an exterior magnetic ionizer device to water pipes. These devices are used on water pipes that supply water to the home and/or appliances. 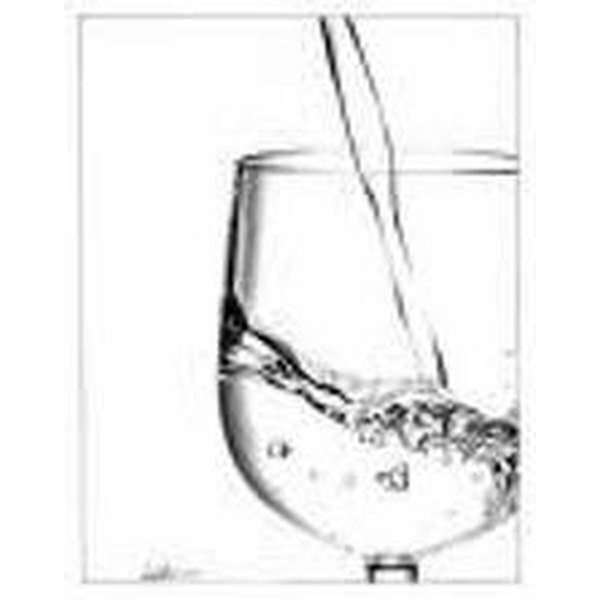 Place alkaline concentrate into an eight ounce glass of water before you drink it. This fourth option uses alkaline concentrate, which is available in liquid or tablet form. Place two drops of alkaline liquid or one alkaline tablet in a glass of water to ionize the water. Pass water through a batch unit ionizer to re-ionize water. This fifth option processes one gallon of water at a time. The process uses electrolysis and typically takes 15 minutes. A typical batch unit ionizer is the least expensive method for ionizing water. Ionized water is often referred to as Oxygenated Water, Micro-Water, Light Water, Miracle Water and Micro-Clustered Water. Water ionizer machines are the most common device used for ionizing water. The average pH of ionized water is 9.0 (has more alkaline than normal water) and the normal pH of water is 7.0 on a scale of 1.0 to 14.0. Anything below is 7.0 indicates acid in water, with 1.0 being the most acidic. A lemon has a pH of 3.0 and antacid drugs have a pH of 8.5 to 9.0. Use caution any time you use electrical devices around water to avoid electrocution. Ionized water should never exceed a pH level of 10.0. A resident of Mobile, AL, David R. Wetzel has been writing education-related articles for over 20 years. His articles have appeared in "Science Scope," "Science Teacher," and the "Journal of Computing in Teacher Education." He holds a Doctor of Philosophy in education from George Mason University.